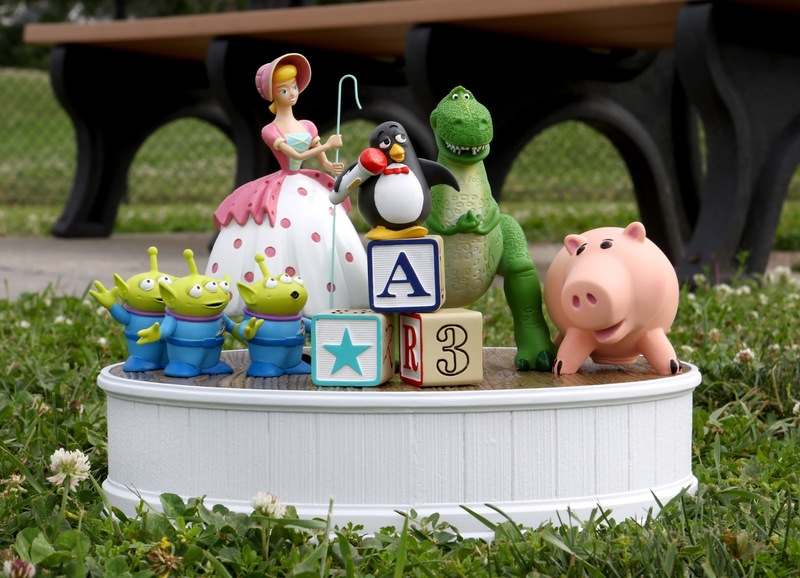 You've got a friend in this incredible Toy Story sculpture sold now exclusively at Disney Parks! 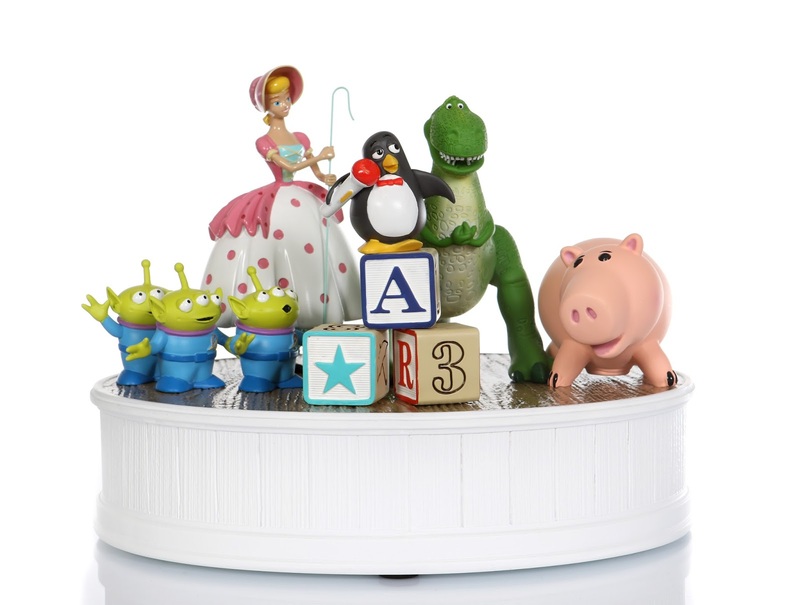 This is a high end, intricately detailed collectible made of a resin material featuring several of your favorite toys from Andy's toy box: Wheezy (atop three classic alphabet blocks), Bo Peep, Rex, Hamm and a trio of Pizza Planet Aliens. This is an absolutely stunning piece. 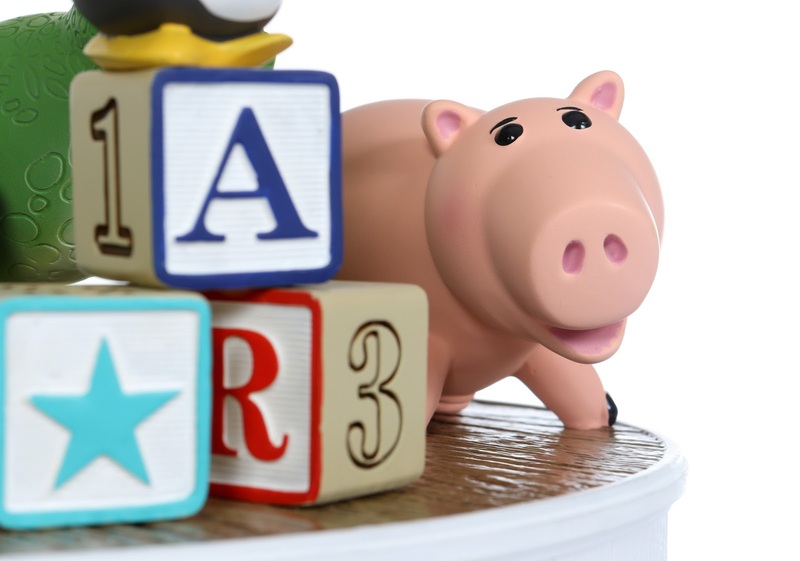 I first saw this beauty when it popped up on the Disney Store's website this past January and I snagged it right then and there (since there was a 40% off deal for cast members). I waited to receive it for my birthday however, so I finally just opened it up at the end of May and I couldn't have been more excited. Time for me to gush. Take a lot at my detailed shots below! 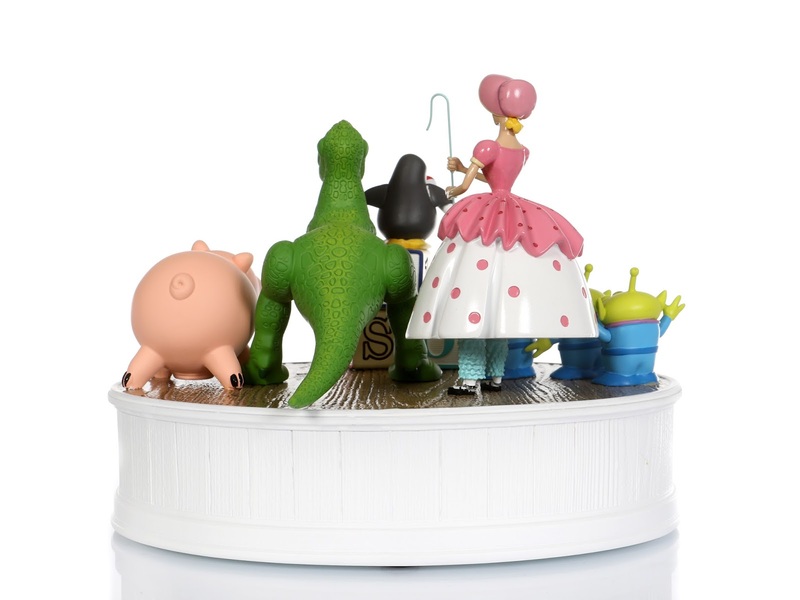 The official size of this is 9'' H x 12'' W x 9'' D with a retail price of $125.00. 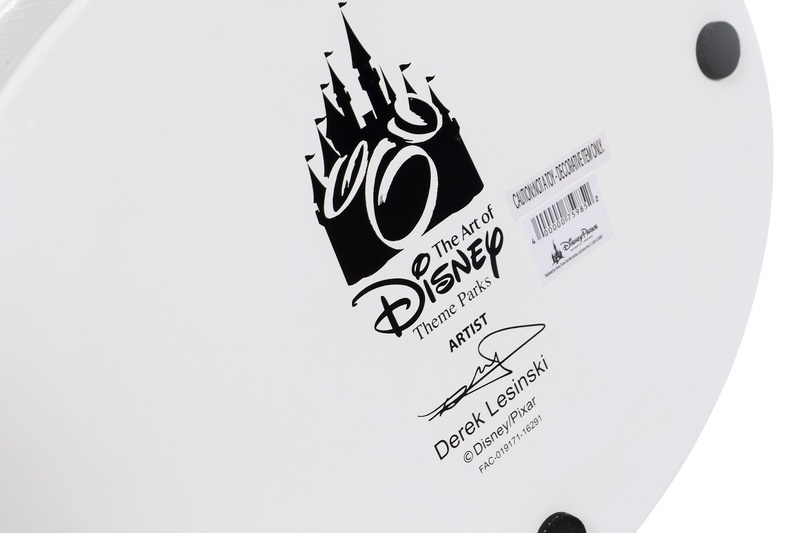 Here on the bottom you can see that this an official item from The Art of Disney Theme Parks and his stamp signed by artist Derek Lesinski. What a wonderful job he did here with the design. You might be asking yourself at this point, "where can I buy it?!" Well luckily you have options as it's still available to purchase. 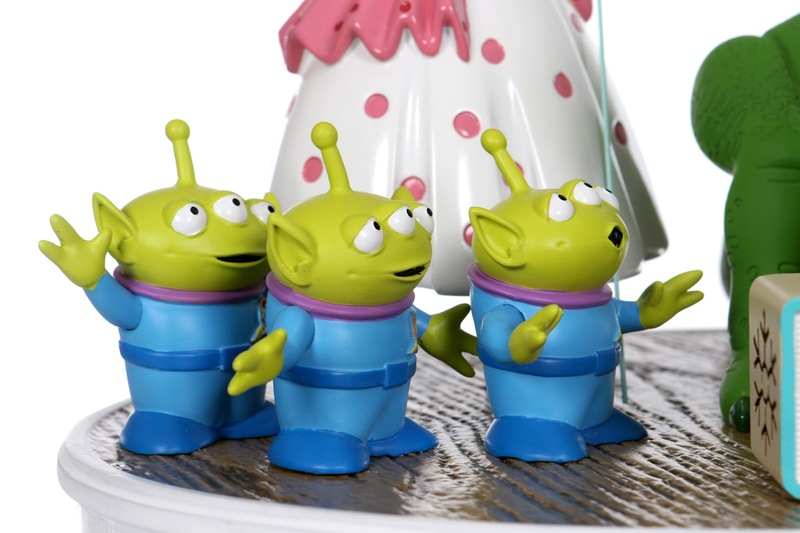 First of all, I ended up seeing this in person back in April during our Disney World trip at "The Art Disney" store (both the Epcot and Disney Springs locations). 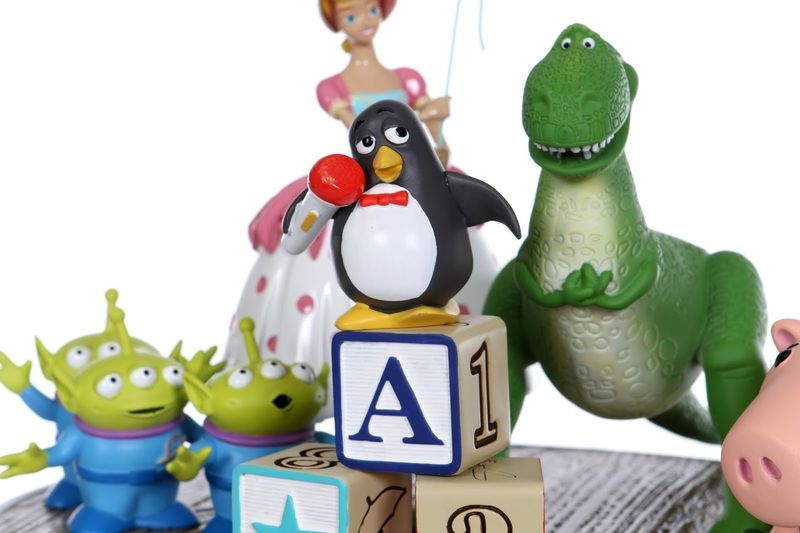 If you're not going to Disney World anytime soon though, it's still available on the Disney Store's website HERE or the Shop Disney Parks app (just search "Toy Story character figurine"). This is such a special piece. 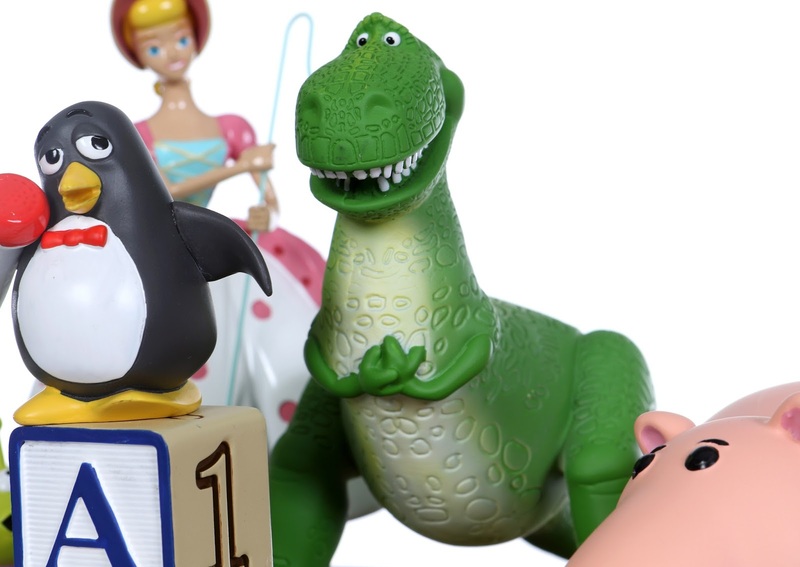 The fact that it highlights secondary characters from the Toy Story films that don't see much attention makes this a real standout for me. 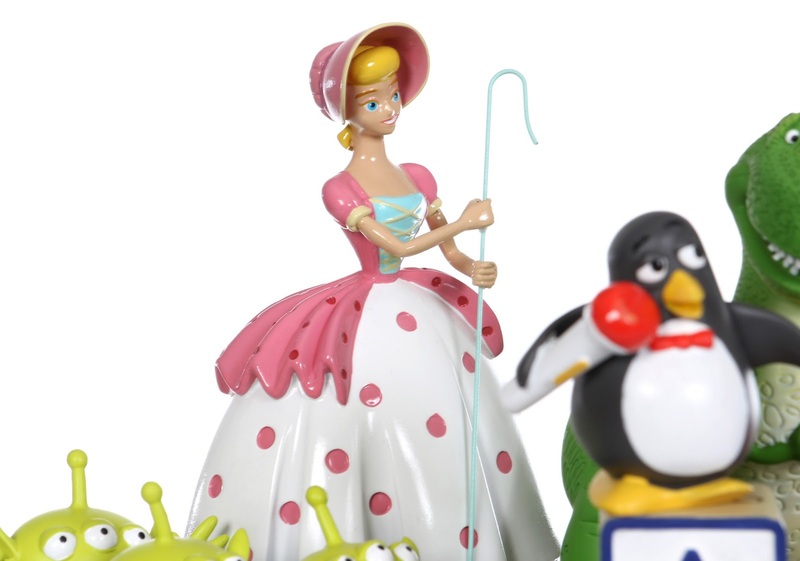 Rather than relying on the popularity of Buzz, Woody, Jessie, Bullseye, etc., this figurine gives us a unique selection of toys that we know and love but see less often than we'd like. Please let me know your thoughts on this in the comments below! Do you absolutely love it? Have you picked this up? Do you plan to? I'd love to hear what you think.